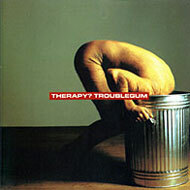 Therapy?’s critically acclaimed fourth album features crowd motivators such as Knives, Screamager, Nowhere and Die Laughing. Produced by Chris Sheldon. Released by A&M Records in 1994 on CD, LP and Cassette.